This is an 11" 20L model with a cherry rim. 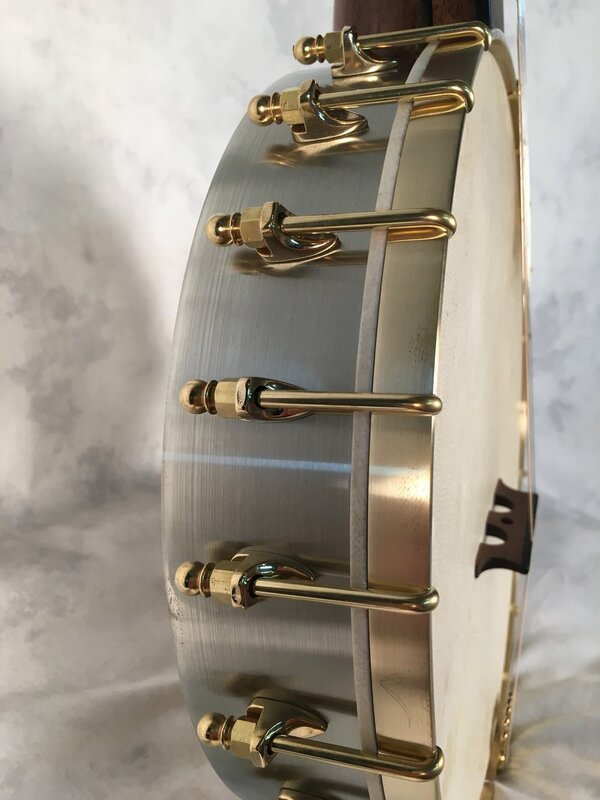 The rim is clad in nickel silver and has a Dobson tone ring. Mother of pearl and abalone inlays. Narrow style paddle peghead with an ebony overlay. 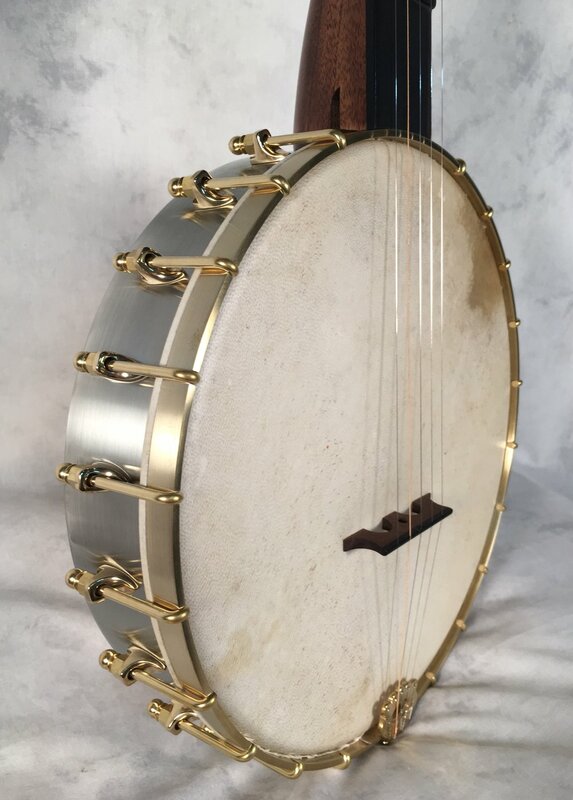 This banjo went to Perth, Australia.